David Byrne's family was distraught and pleading for answers following the collapse of the trial of Patrick Hutch, the man accused of his murder. 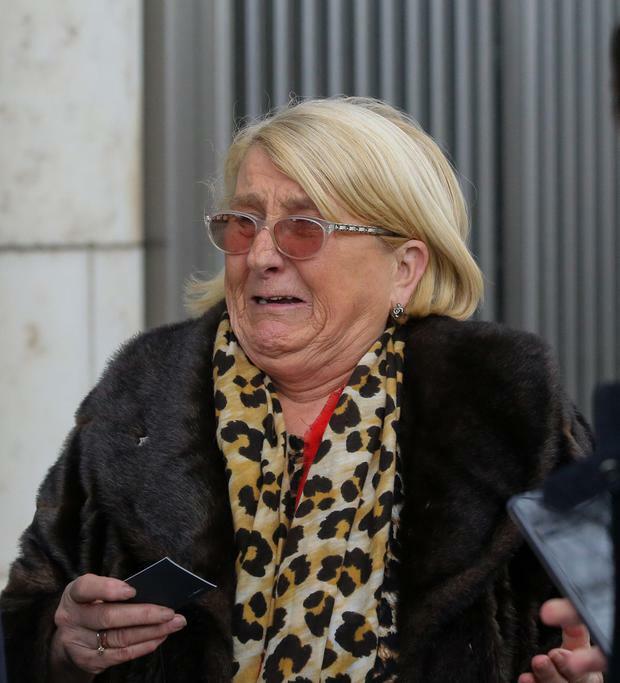 Amid emotional scenes, Mr Byrne's mother Sadie spoke of her hope the vicious gangland feud which has claimed the lives of her son and 17 others would end. She insisted Mr Hutch's life was not in any danger from anyone in her family. But she also spoke in angry terms of how her family was given "no reason, no explanation" for the trial's collapse. Asked if her family wanted to see an end to the Hutch-Kinahan feud, Ms Byrne said: "Of course we want it to end. "Who wants a feud? Who wants to live like this? Who wants their child riddled? Gone to a sporting event and he doesn't come home." Her comments came minutes after counsel for the DPP entered a nolle prosequi, or notice of abandonment, at the Special Criminal Court in Dublin, citing the unavailability of the lead investigator, the late Detective Superintendent Colm Fox, as a reason for the decision. Ms Byrne's son was gunned down at a boxing weigh-in at the Regency Hotel in Dublin in February 2016. It had been the prosecution's case that although Mr Hutch did not shoot Mr Byrne, he was part of a "shared intention" to commit the offence. It alleged Mr Hutch was the man photographed after the shooting dressed up as a woman and brandishing a handgun. "Three weeks ago, I got a phone call to say this was happening. It was going around the Law Library," Ms Byrne said. She made contact with a garda involved in the case, who she said assured her the rumours were not true. But she said the same garda knocked on her door earlier this week to tell her "that chap is walking free". Asked what her family would do now, she said: "What can we do? Where can we go? The police don't want to know. The papers don't want to know. "No one wants to listen to me. Nobody." She added: "One day the truth will come out. I won't be alive for it, but the truth will come out." When it was put to her that Patrick Hutch's life might now be in danger, she said: "His life is not in danger from us." Ms Byrne was critical of newspapers for publishing photos of her dead son lying on the ground in the aftermath of his murder. "That is breaking my heart every time I see it," she said. Ms Byrne was accompanied by several family members, including a daughter who declined to give her name. The daughter said she was "absolutely disgusted" with the outcome. "I am his sister, living a life of hell," she said. "Two children with no father. Give us justice, that's all we ask for, a fair trial. Patrick Hutch walks free. Where's the justice? Put that in your paper and print it." Outside the court, relatives and friends of Mr Byrne held up banners and photographs of the slain father-of-two. One banner read "slaughtered in the Regency" and said there was "no justice in Ireland".